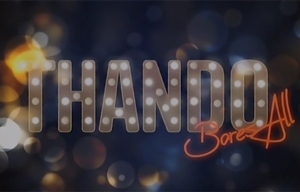 Thando Bares All is a South African tell-all talk show hosted by Thando Thabethe which focuses on a series of issues that ordinary citizens go through in their daily lives, but just aren't brave enough to talk about. Thando encourages her guests to be open and honest about the things that society might be afraid or embarrassed to speak about. From body positivity, outrageous style, naked attraction, polygamy and super-human achievement, nothing is off topic. Meanwhile, Carissa brings a street element to the show as she engages with the public on the streets of Johannesburg, asking them daring and personal questions that get them thinking and talking about some of the topics covered on the show. Thando Bares All was created and executive produced by Rebecca Fuller-Campbell for Oxyg3n Media. Devin O'Malley is a producer and Ivyann Moreira is the director. The scriptwriter is Anneli Uys. The 24th South African Music Awards top the bill tonight, but also try catch the new tell-all talker Thando Bares All on TLC.